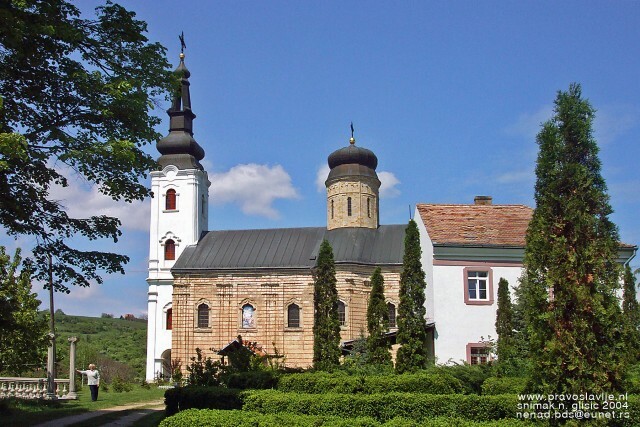 All the past posts about the Fruska Gora Monasteries and about the beautiful baroque town of Sremski Karlovci have been put in a practical printable travel guide you can download here on Issuu. The little city of Sremski Karlovci is a good starting ponit for the Fruska Gora National Park. This historic town on the right bank of the Danube, is surrounded by vineyards and represents an example of integration of cultural and natural heritage. It's a picturesque little Baroque Town with interesting buildings full of historical, academical and spiritual meaning. he present day historic centre of Sremski Karlovci emerged from the development of the city during the 18th, 19th and at the beginning of 20th century. 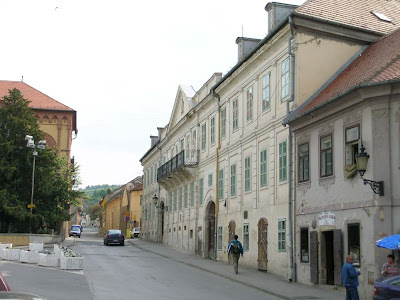 The spontaneous development of an urban texture in the 18th century, when Karlovci was the largest Serbian town in the Danube area, was based on an earlier layout, as confirmed by historic sources and archaeological findings. Since 1713, with the transfer of the Metropolitan seat in Karlovci, building activities were characterised by rapid development. 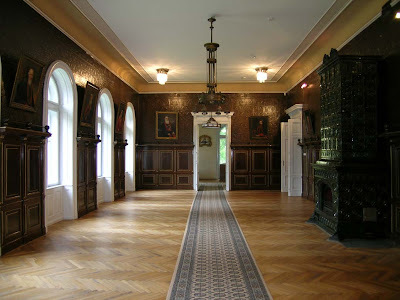 With the growth of political importance and the role of Karlovci, the need arose for a public house to accommodate the new functions. The building activity was supported by the intelligent and ambitious metropolitans of Karlovci, as well as by rich traders and craftsmen, which together contributed to shaping the urban image of Karlovci around the middle of the 18th century. This image of the old town, which was to be finally completed in the last decade of the 19th century and in the begining of 20th century, is largely preserved until our times. The urban centre is organised around the Square of Branko Radiccevica and the surrounding streets, encompassing buildings which have an exceptional place in the cultural history of the Serbs, due to their architectural, artistic and functional values. The Gymnasium of Karlovci (Карловачка гимназија) is the oldest secondary school in Serbia (picture). The present building was built 1891st was designed by Julius Partos, Hungarian architect. When built, it was also the Patriarch's Palace and was considered the most representative building of the Serbian Vojvodina. Clerical High School of Saint Arsenije, founded in 1794, is the first Serbian Clerical High School, founded three years after the Gymnasium of Karlovci by Mitropolitan Stefan Stratimirovic. The second half of the 19th century represent the golden age in the history of this school, when Ilarion Ruvarac became the rector, and Jovan Zivkovic was one of the professors. In that period one of the first departments for bee keeping was established in the school. The Clerical school was closed in 1914, after the World War I reestablished in Belgrade. The modern Clerical school called "Saint Arsenije Sremac" was founded in 1964, in the Palace of the Common funds, built at the beginning of the 20th century by Patriarch Georgije Brankovic. The Sremski Karlovci City Hall is located at the center of Sremski Karlovci, Serbia (picture). City hall was built in the period between 1808 and 1811 in neoclassicism style. It was constructed to be garrison of the nearby Petrovaradin fortress in Novi Sad, and later it become military building. Above the balcony is a coat of arms of Sremski Karlovci. The most important event that occurred in this building is declaration of Serbian Vojvodina from a balcony by Josif Rajacic in May 1848, known in Serbia as May Assembly, during European Revolutions of 1848. In this building the temporary government of Serbian Vojvodina was organized and was called The Main National Council. Now, in the City Hall is the administration, including town council and police. 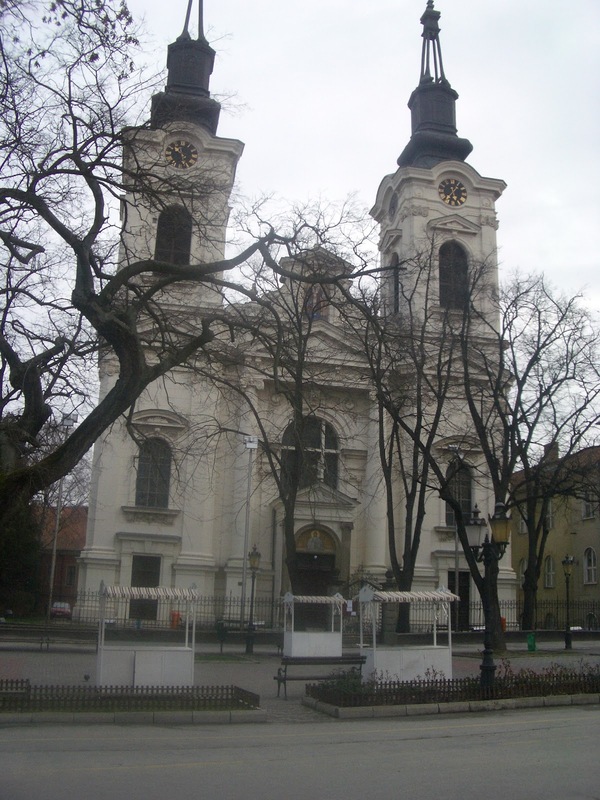 The St. Nikola's Synod Church (Саборна Црква Цветог Николе) was begun in 1758, on the place of the old church of St. Nikola, from the Turkish times and upon the initiative of the metropolitan Pavle Nenadovic. In 1760 the tower and the dome were built, accordingto the project of Zahariie Orfelin, while the church was finally completed in 1762. It is single-naved building with a semi-circular apse on the east and two high baroque belfries on the west. A magnificent iconostasis, a masterpiece of Serbian baroque paining, a work of Teodor Kracun and Jakov Orfelin in 1781 with woodcarvings by Arsenije Markovic. Significant relics are kept in the church: a miracle icon of the Mother of Christ with the little Christ and one part of the relics of St. Arsenije I Sremac, the first Serbian archbishop after St. Sava. The two thrones are foreseen for the Serbian king and Serbian patriarch. 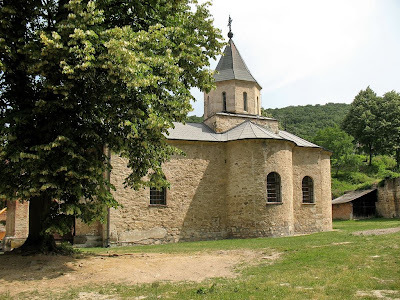 This post belongs to the series about the beautiful monasteries of the Fruska Gora (the only mount of the extended flat Vojvodina region in the National Park of Fruska Gora which is also a well know tourist destination). 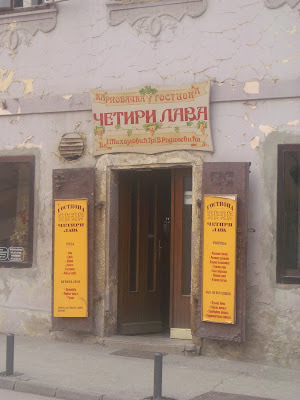 This unique place lays between Novi Sad and Belgrade Airport and makes a good day trip (by car). 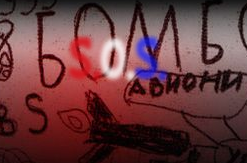 The links to the first 7 monasteries of the series (Velika Remeta, Novo Hapovo, Krusedol, Jazak, Beocin, Vrdnik-Ravanica and Grgeteg) are on the bottom of this post. Here are a few others of the 15 preserved monasteries of the Fruska Gora National Park. The monastery church is dedicated to the Council of the Holy Archangel Michael. 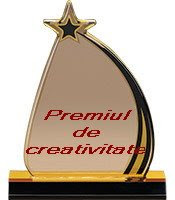 According to the legends Privina Glava was founded by a man named Priva, in the 12th century. The monastery was named after him, so the tradition says. The legend also links the monastery to Jovan Brankovic (burried in Krusedol Monastery) and his brother, Bishop Maksim, who founded the monastery in 1496. The first documented evidence of Privina Glava is rendered by Turkish tax records of I566-67. The Monastery church is a single-dome structure with a trefoil base built between 1741 and 1760, after the model of the Novo Hopovo monastery church. The monastery residences were built on the South and partially on the East side of the church, between 1753 and 1771. The so-called zoograph icons on the old iconostasis were painted by Stanoje Popovic in 1747. The icons on the new iconostasis were painted by Andre Sartist in 1786. The murals in the central part of the church were made by Kuzman Kolaric between 1786 and 1791. The monastery church was dedicated to St. Petka. According to the tradition, founded by the widow of Stefan Stiljanovic (burried in Sisatovac Monastery), despotess Jelena. The monastery is first mentioned in Turkish documents of 1566-67. The church has a trefoil ground plan that has still been preserved, except for the wooden bell-tower, which was replaced in the mid-18th century. The fresco paintings, a good portion of which has been preserved, were finished in 1588. In the 18th century, the church was renovated several times, and in 1735 got a new iconostasis with a large carved cross. During World War II, the church was deserted and the icons carried off and lost forever. 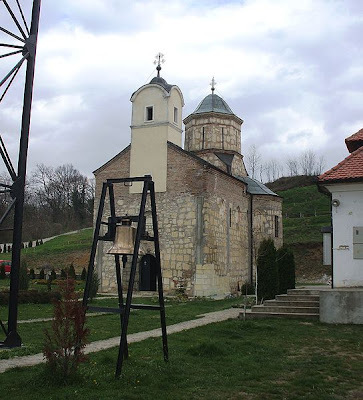 The iconostasis was destroyed and the cross moved to the Museum of Srem, in Sremska Mitrovica. The monastery has been partly renovated. 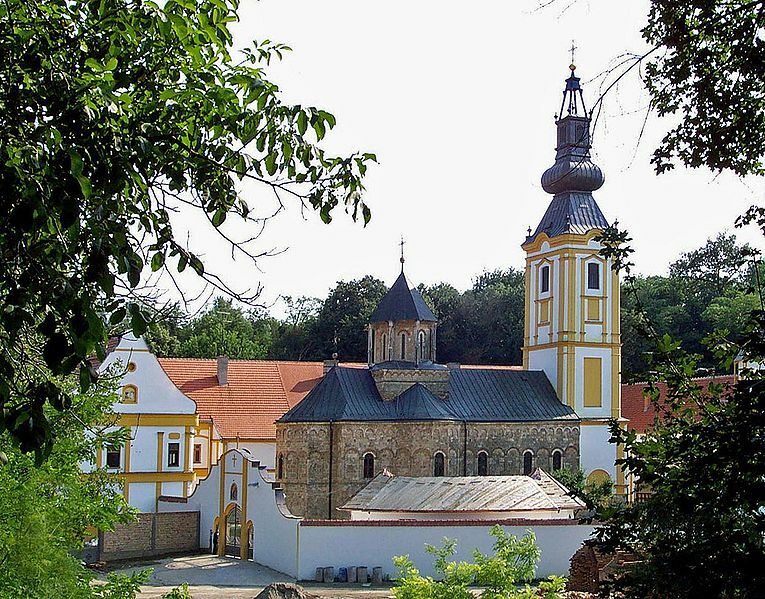 The monastery church is dedicated to the Birth of the Mother of God. 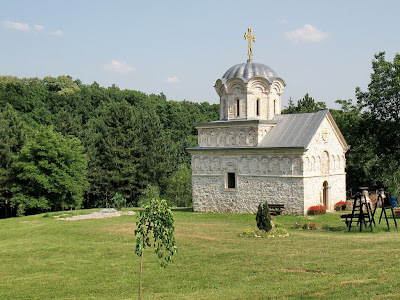 The foundation of the monastery is ascribed to the refugee monks from the Serbian monastery of Zica who tore down the original church of St. Nicholas called Remetsko, and erected on its site a new church, which was dedicated to the Virgin, and named Sisatovac. 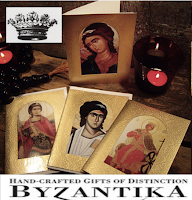 The reliable facts illustrating the life of the monastery date from the mid-l6th century. In 1543, the relics of St. Stefan Stiljanovic were brought from Siklos to the monastery. The old two-domed church, which had been built by masters from Adriatic coast, Jovan and Gaspar, was destroyed in 1778. A new, larger one, donated by the bishop Vikentije Jovanovic-Popovic was built on its site. The monks' quarters were erected on three sides, while the fourth was closed by the church itself. The quarters acquired their present appearance at the beginning of the 19th century. The cemetery chapel was dedicated to St. Paul and St. Peter, and the chapel was built in 1750. The iconostasis and murals for the new church were made by Grigorije Davidovic-Obsic, in 1795. The monastery was destroyed during World War II. The reconstruction of the monastery is under way. The monastery church is dedicated to St. Cosmas and St. Damianos. According to a legend written in 1704, Rakovac is the heritage of a certain man, Raka, courtier of despot Jovan Brankovic. The legend states that Raka erected the monastery in 1498. The monastery got its name after him. The monastery was mentioned in the first Turkish census of Srem in 1546. The addition of a baroque bell-tower on to the West church facade, in 1735, entailed certain changes in the trefoil shape of the church and the whole monastery complex. The monks' quarters acquired their final appearance in 1771, surrounding the church on three sides. The church was supposed to be painted at the beginning of the 16th century. The only preserved parts of the frescos are those in the tambour of the dome. The icons on the baroque iconostasis were done by Vasilije Ostojic in 1763. The single-nave chapel in the monastery graveyard dedicated to the Shroud of the Mother of God, built in 1751, houses the iconostasis painted by Janko Halkozovic and Vasilije Ostojic, in 1755. The monastery was severely damaged in World War II and a lot of cultural, historical, and artistic valuables were irretrievably lost. The church has been reconstructed. The monastery church is dedicated to St. Pantelemon and was built in 1752. According to the tradition the monastery was founded by bishop Maksim. The first reliable data about the monastery date back to 1545/46. 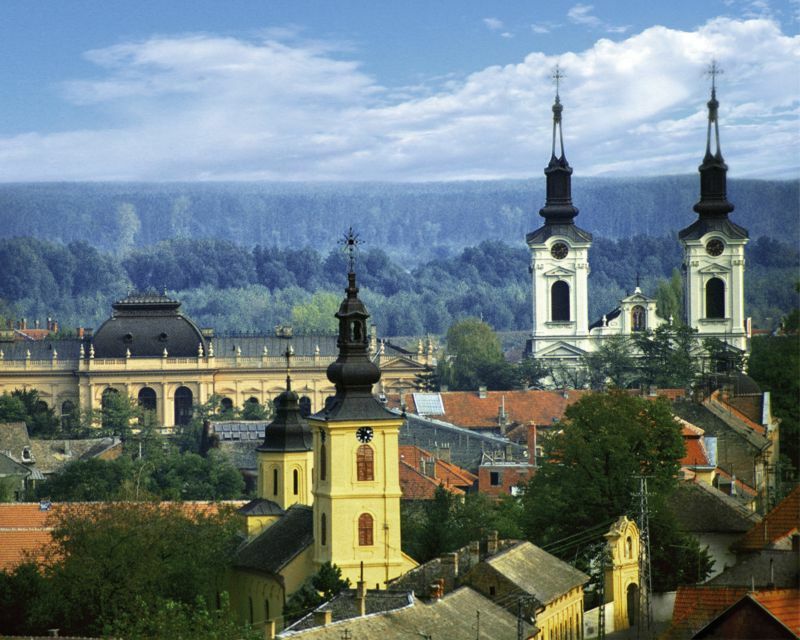 There are no records about Staro Hopovo from the 17th century and the first half of 18th century. According to some records before there was a church devoted to St. Nicholas, with walls made of wooden planks. Instead of that church, which was destroyed in an earthquake, the present one, dedicated to St. Pantelemon was errected. In the new, single nave domed church, the throne icons, on the baroque iconostasis, were painted by Janko Halkozovic. During World War II, the church was damaged and the iconostasis was dismantled. The church itself underwent conservation and restoration after the World War II. The monastery is not anymore in use.